Transmembrane signaling plays a central role in virtually every aspect of human physiology, yet the mechanistic details underlying this essential process remain poorly understood in many cases. My research aims to elucidate the molecular basis of membrane protein signaling through the use of biophysical techniques and structural biology, which complement more traditional cell-biological approaches. Specifically, I am focused on the study of proteins important in human health and disease, with a particular emphasis on leveraging recent advances in cell signaling to develop new and better therapeutics. In particular, I am using biophysical and structural methods to characterize sigma-1 activation and its therapeutic potential. My lab also employs a protein engineering approach to identify stabilizing synthetic antibody fragments to facilitate crystallization and functional studies in cells. 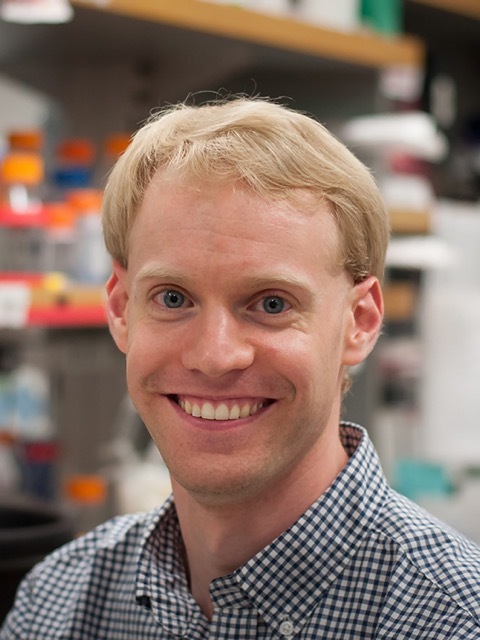 Andrew C Kruse, a 2016 Vallee Scholar, is an Assistant Professor of Biological Chemistry and Molecular Pharmacology at Harvard Medical School. Prior to joining the faculty at Harvard, he completed doctoral training with Brian Kobilka at Stanford University where he studied neurotransmitter receptor structure, function, and pharmacology. He was selected for the 2016 Forbes “30 under 30” list, and is the recipient of a Smith Family Award for Excellence in Biomedical Research, a Klingenstein-Simons Fellowship, and an NIH Director’s Early Independence Award.